Let me tell you about this amazing opportunity. LensDoctor is for anyone who wants maximum profits with a minimum of expenses. The proper tools are required for every job and Headlight Restoration is no exception. In this lesson students will be introduced to all the right tools of the trade. 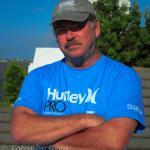 Safety has always been a top priority for me and that goes for all my students as well. Plastic headlights start to show their age in 3-5 years. However, there are number of things causing them to get bad. Everyone who takes this course will be able to correct them all. Polishing plastic is a delicate process. You must avoid harmful chemical abrasives normally used to polish painted surfaces. Students will learn the proper tools and techniques to use when working on plastic headlights. 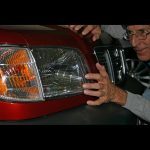 I’m sure you have seen all the different products for headlight restoration, the YouTube videos and late night infomercials etc… who hasn’t. I couldn’t even tell you which one works best or which ones even work at all. I’m just glad all that wasn’t out there when I started LensDoctor®. This is for Professionals, not hacks. I started LensDoctor® before most people even heard of Google, myself included. My research focused on the plastics manufacturers, headlight manufacturers, the companies who make the coatings used by headlight manufacturers and the headlight regulating body, the NHTSA. I believe that I have a much better handle on this than most because of the quality of my research. I’m told by my customers that I’m the best all the time, I explain that it is my method and they insist it is me. My background is in management not recon. My method is based on how someone with a background in plastics would do it and this is why I insist that it is my method. LensDoctor® doesn’t use any hazardous chemicals, it works on all damage from minor to extreme and it produces consistent results. More importantly, it produces happy customers. One last thing, branding is a major contributor to most products’ success. Combine the familiar sound of LensDoctor® with the superior quality it produces and you have a winning combo. With LensDoctor®, you have a chance to get in on something that could be huge without the high cost of a franchise. I’m taking a big chance with my extremely low margins and I may not survive but with some good people (that’s you) out there working it, my hopes are high. Those involved in the beginning, will reap the biggest reward. This is a “Go for it” moment for me… how about you?